After revealing Daft Punk's sampling secrets on Discovered, the folks over at Rapster Records are setting their sights on Massive Attack. 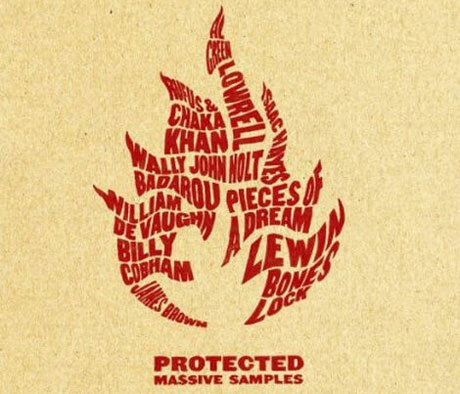 On February 17, the label has announced it will release Protected, a 12-track comp of songs sampled by the long-running Bristol trip-hoppers during the course of their career. Amongst the source songs you'll find Wally Badarou's "Mambo," which went on to inspire Massive Attack's Blue Lines track "Daydreaming," as well as numbers such as Al Green's "I'm Glad You're Mine," Rufus And Chaka Khan's "Any Love" and "Ike's Mood" by Isaac Hayes. Also included are a few original versions of tracks Massive Attack straight-up covered, like John Holt's "Man Next Door," which was redone on Mezzanine, and Lewin Bones Lock's "Five Man Army Dub" and William De Vaughn's "Be Thankful For What You've Got," both of which were redone on Blue Lines.